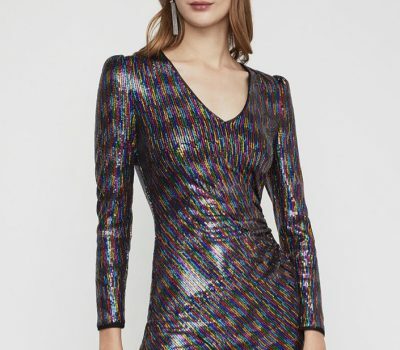 Whether you are heading to the party of the century or simply all dressed up with nowhere to go, metallics are the best way to integrate glamour into your look of the day. From a statement metallic jacket to gleaming trousers, there are numerous ways to rock this coveted runway trend. We’ve curated a few ways to wear the look right now, just in time for Fall 2018 party season. 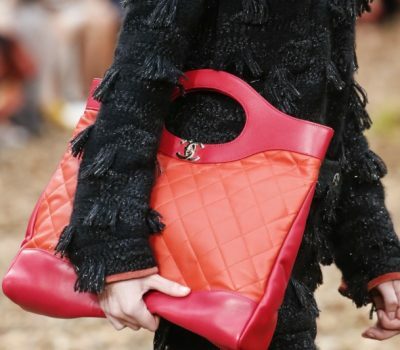 If you’re a true party girl, you may want to draw your sartorial cues from the catwalk at Tom Ford. The longline boyfriend blazer with an open V-neck and shawl collar creates a chic look, while the sequins and fitted skinny trousers complete the overall ensemble. For anyone wondering how to combine elements of glitz and glamour with neutral pieces, simply look to Alberta Ferretti for your inspiration. 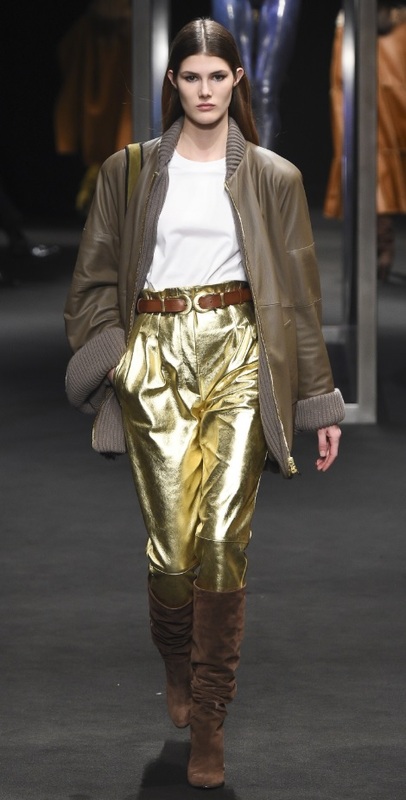 We are loving these shiny gold trousers, which are paired with a classic plain white T-shirt, oversized leather jacket and thigh-high brown suede boots. At Christian Dior, a silver, aluminum-esque jacket took over the catwalk. Styled with a patchwork denim outfit, futuristic shades, beret and over-the-knee boots, this look combined drama with everyday pieces for a contemporary take on metallic dressing.